Free unlimited access to our time-efficient and child-friendly online dyslexia tests, reviewed by our experts. Reading remediation with high levels of self-efficacy, increasing your ability to help more students without requiring additional special education funding. Increased grade averages as more children will reach functional fluency in reading. Access to free-of-charge customizations making Dynaread accessible to students with learning disabilities. Online curriculum. No need for special support from your own IT team. Unlimited free access to our team of highly qualified resident academics who can assist your special education team with their expertise. Dynaread's curriculum and reading strategies. Help children discover that they can learn to read, replacing painful and embarrassing I cannot read experiences. Help children attain reading fluency and comprehension. Help children achieve functional literacy by the program's completion. Help children expand their reading vocabulary. Help children recover self-confidence and motivation to learn. Help children to no longer feel alone and misunderstood. A child who can't read well, will experience Dynaread's approach as honoring and effective. Scientific research has demonstrated that the basis for most reading struggles is neurological. Most children with dyslexia struggle with sounding out new words (phonological decoding). This is why the majority cannot progress in reading when taught with a typical class-room phonics-based approach. Building on fundamental realities in Reading Science, Dynaread developed a teaching program that takes advantage of the fully functional fast-route or lexical-route reading process in the brain of a child with dyslexia. It will be a tremendous relief to your students to finally encounter age-appropriate reading lessons which they can also read and comprehend. To a significant extend, Dynaread's approach teaches children to read through reading. For more scientific background, please read Reading: What is it, and where does it go wrong in Dyslexia. 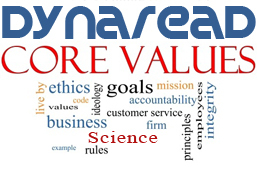 How does Dynaread differ from other programs? Lessons contain age-appropriate and engaging non-fiction stories. Your students will never be subjected to simplistic (and often degrading) lessons such as "the cat sat on the mat". Below is an example of a typical Dynaread reader text, fairly early on in the syllabus. Our usage of the neurological realities of how Reading works in the brain, allow us to prepare a child to read texts like these with sufficient fluency and accuracy to allow comprehension. We read to attain comprehension: Comprehension is what it is all about. For older struggling readers to learn to read with texts like this makes a world of difference. Our online program can be done from any computer with internet access: No special installs are required, plus children can continue to work on the program during sessions at home. Expert assistance is only a phone call or support ticket away. Our resident academics--experts in dyslexia, special education, learning disabilities, and reading sciences--provide free support. Whenever you have questions or are in need of advice, we're here to help. Our help is not only there for your students, but also for your teachers. We know what it takes to education children with special needs. We are here to help both your students and your staff: free of charge. Dynaread is backed by a heart-centered desire to help children, including your students! 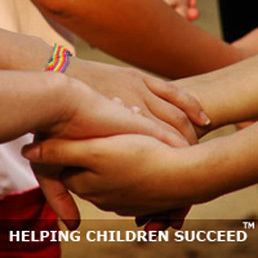 Our entire team is genuinely passionate about helping children succeed. To demonstrate that these are not just empty words, we operate a Grants Fund allowing low income families to receive a grant covering up to 75% of program costs. We simply want to do our best to try to help as many children as we can. Our classroom Dyslexia Screening App and Online Dyslexia Test, personally reviewed and reported back to you by one of our resident academics at no additional charge, combined with our affordable pricing eliminates cost as a barrier to school-wide dyslexia remediation or reading intervention. Click here for an overview of Dynaread's features and reading strategies. Excellent service in Screening and possible outcomes with students potentially have Dyslexia. I highly recommend DYNAREAD. Brilliant: Very happy with it. In the past, I would see Hayden upset after school every day. She would feel like she's not as smart as her classmates because she struggles reading school assignment instructions. In turn she brings home classwork and the overbearing amount of homework she has to complete each week. Dynaread has turned her frown upside down! We now have a better understanding of her struggles. We greatly appreciate your help. I found this to be a life saver for my son! He was struggling so bad that I had no idea what the cause was. I am so grateful for answers through this program! I was able to get him the help he needed. He is now getting on track and is the happiest little boy and loves to read! Dynaread has changed the literary landscape for a number of our struggling readers. One of our students moved from Grade 1 to Grade 7 leveled reading materials in six months, while other students have noticed a more gradual improvement in their reading. As an educator, I can not express the importance of functional literacy in preparing our children for life beyond academic studies. Hans Dekkers is a committed professional whose enthusiasm for helping children is matched with an incredible depth of knowledge about how we learn to read. As a Learning Resource Coordinator, I am often driven by the unique needs of the students I serve. When children experience continued difficulty acquiring reading skills, despite various interventions, and are struggling more than you would wish, you are always on the lookout for something that will help them. That was how I found Dynaread and Hans Dekker its creator, a very insightful man with a great desire to help struggling readers. Dynaread quickly engaged several students and gave them meaningful and interesting reading material in a successful, lesson by lesson program. Our students didn't like to read, but were willing to give Dynaread a try. Happily they made progress quickly and that was very encouraging for all. I can certainly recommend Dynaread for older, struggling readers. I am the principal of a small school in Uganda and as a result do not have a lot of resources to help my dyslexic students. The Dynaread program has been incredibly helpful. We've had a number of students use the program and they all say the same thing; it's a fun program, and they enjoy using it. In conjunction with our teaching staff the program has helped the students develop essential reading skills which in turn has increased their academic confidence and sense of self-worth. Dynaread is the best program for struggling readers. They have a team of dedicated professionals and they treat every case personally. This program has been planned professionally and methodically. I have many students of mine who have begun reading 'fluently' thanks to Dynaread. God Bless and keep up the good work. Based on Sound Research - Dynaread contains several components which are worthy of consideration, when deciding on a reading intervention. Each component is most certainly based on sound research. Engaging Working Memory Tasks - Dynaread has an engaging working memory and short-term memory task, which most of the children I work with enjoy. I have seen and charted noticeable growth in working memory and sustained attention correlated to this task...of course there are other confounding variables to consider such as maturation, interest, and other ongoing interventions. Moreover, in keeping with previous research findings in working memory interventions, the growth is temporary. Works for Different Dyslexia Types - The word reading/exposure component tends to work more appropriately with children who have a surface dyslexia form of reading disorder. However, I am using the intervention with some students who have dysphonetic dyslexia as well, and am finding success. I find that by pairing Dynaread with Read Naturally, or PAL-2 reading interventions, I am we are able to more comprehensively support those children who have mixed dyslexia or dysphonetic dyslexia. Can be Used Independently - The program is intended to be used independently, which is great for students and teachers. However, some teachers have a tendency to send children away using Dynaread without any follow-up, discussion, or other intervention. Please be aware that Dynaread is just a tool in a carpenter's belt, and alone cannot build a house. The teacher is the carpenter and needs to use the tools appropriately to build the right house. Dynaread is an excellent tool to have available, and I recommend it often to families and colleagues.About Dyslexia Diagnosis - I would like to express a word of caution on the dyslexia "assessment." A formal diagnosis for Dyslexia involves much more than a 15-minute test. -- Reaction by Dynaread: We agree 100%. Our free testing screens for characteristics of dyslexia. We do not formerly diagnose, but rather identify key characteristics symptomatic for dyslexia. Since Hans and his team initiated contact with us, we have several months of Dynaread experience under our belts now, and we are favorably impressed. We found the initial testing of the students short but accurate, often matching other testing we had done on our own. Once submitted, the review process was quick and informative results were shared quickly. We found their judgment calls were made with the best interest of the students in mind, and they were willing to explain why Dynaread might NOT be the right choice for a student as well. The modules come with explanatory videos and are straight-forward and easy to follow. Student interest wanes occasionally due to the repetitive nature, but it is the repetition that will help deliver the end result. We were also drawn to the information specifically because it isn't cartoon-like with distracting music and/or graphics. The Dynaread team is easy to work with and seem genuinely dedicated to helping students with dyslexia find hope again...or prevent them from feeling hopeless in the first place. The 4-star review is based on the majority of the time we spent in the program last year. Many improvements were made over the summer, but due to technical and scheduling issues, we were unable to begin this school year with Dynaread. Now that we're back on schedule and will hopefully use the new features, we look forward to an even more responsive program. Dynaread has been a great tool in helping our struggling readers! We have been using the program for two years, the first year as one of the pilot schools and last year with more students participating in the program. Committing 30 minutes a day on Dynaread for our older, struggling readers has shown great results. They have graduated from "learning to read" into "reading to learn"! 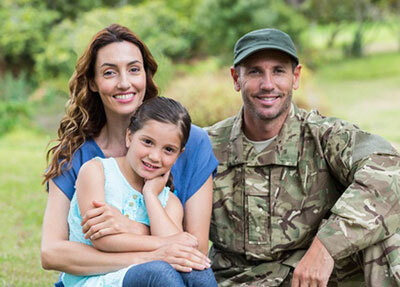 The personalized, prompt service we have received at Dynaread is just a small example of the care that has been put into all aspects of this program. No one is left out. If there is a way for a student to get the help they need, the program directors will find it. We as parents do appreciate all the hard work that your team is putting into Dynaread. I am absolutely grateful and thankful for your hard work and also the efforts put in by your team. As a parent I wanted to personally thank you because ever since my daughter Anaushka has been using Dynaread I have seen a marked improvement in her ability to read. Not only has her level of motivation increased, but her confidence too. I am also a Remedial Teacher. I struggled for ten years to correct errors that were being repeated over and over again. Thanks to your program I find that not only does she know when she is making a mistake but she also makes an effort to correct mistakes that she has made for the past ten years. She is now more confident about her reading and I have noticed her writing has improved too. We are now using Dynaread in several schools with our Dyslexia intervention team. Impressed by Dynaread and using it in our Learning Support department. I appreciate how Dynaread helps my struggling readers experience success very quickly, instilling in them a greater desire to keep on working at reading. The program supports my students with executive functioning challenges to attend to the print more closely through the use of the " snowflakes" and other soft techniques. The Dynaread stories are well suited to older students developing their reading skills as the appearance, presentation and content are both interesting and age appropriate. Dynaread forms an integral part of my remedial reading program for 6 of my current learning support students from grades 4-7. One of these students was frustrated with past remedial reading support as she tried her best but was not experiencing success at a rapid enough rate. With Dynaread she is experiencing success and her smile has returned. I am thankful Dynaread helped this student regain her confidence and rekindle her motivation. Dynaread reaches my students who simply learn to read in another way than is generally taught as part of literacy programs. Dynaread helps me to support the various learning styles of my struggling readers. My school has been using Dynaread as part of the Special Education program since August 2012. During this time over a dozen students with moderate to severe reading disabilities use it on a daily basis. Presently, this includes students in Grade 2 to Grade 4. It is my personal testimony that all these students have improved in their reading skills. Along with that, their level of personal confidence has skyrocketed. Teachers and parents are "amazed" at the results we are seeing. There is no doubt in our minds that Dynaread is a unique, well researched and highly effective reading tool. We will continue to commit part of our budget to purchase this program for years to come. Honestly, we just can't see not having it as part of our regular daily educational program.I welcome any questions you may have. I know that students, staff and parents would be willing to share the many success stories we have with Dynaread.